I will admit I have a serious obsession with horn necklaces! I can't tell you exactly why, but I can tell you I own a lot of them and LOVE them all! The moment I saw these HAUTE NEW Melanie Auld necklaces I knew I had to have them. 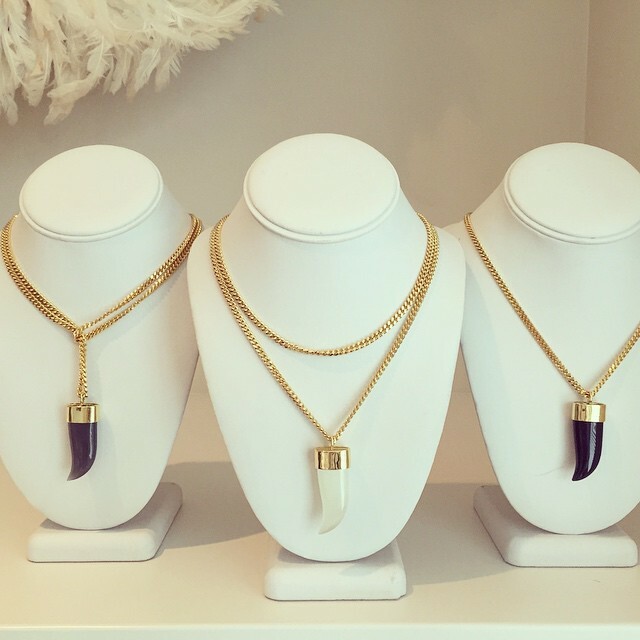 These simple yet chic horn necklaces are the perfect accessory. The best part is you can style and wear them in multiple ways.